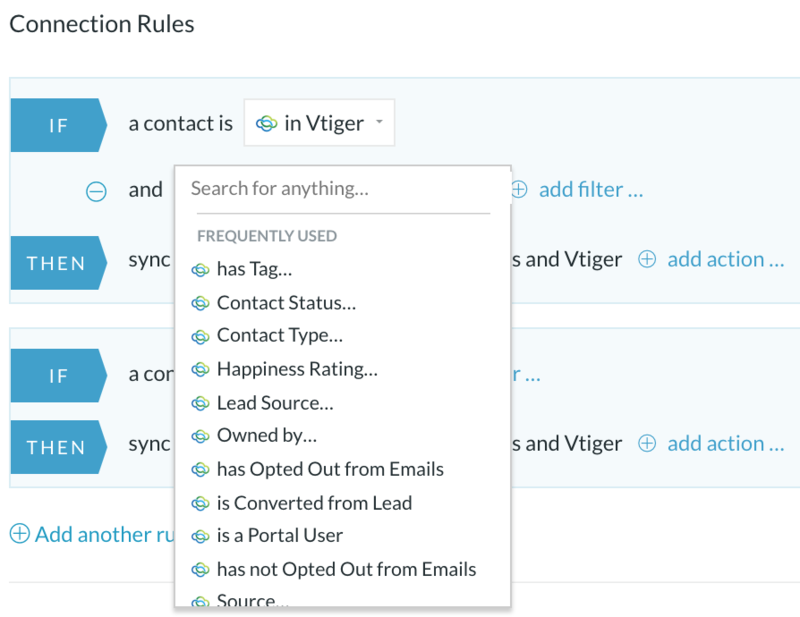 Vtiger allows businesses to convert valuable leads into actual customers, providing statistics to help sales and support teams decide on best future strategies. 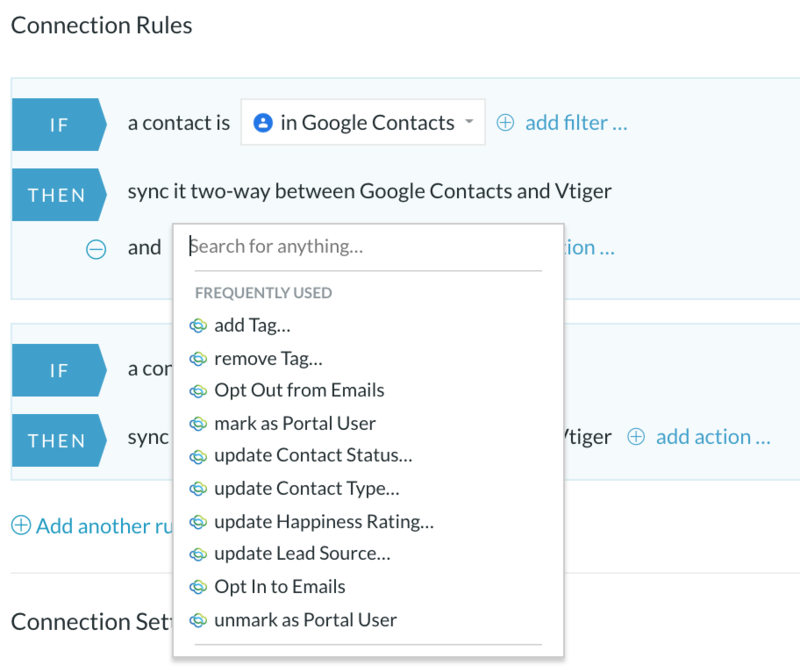 The all-in-one CRM helps grow sales, deliver better customer service, and improve marketing reach. 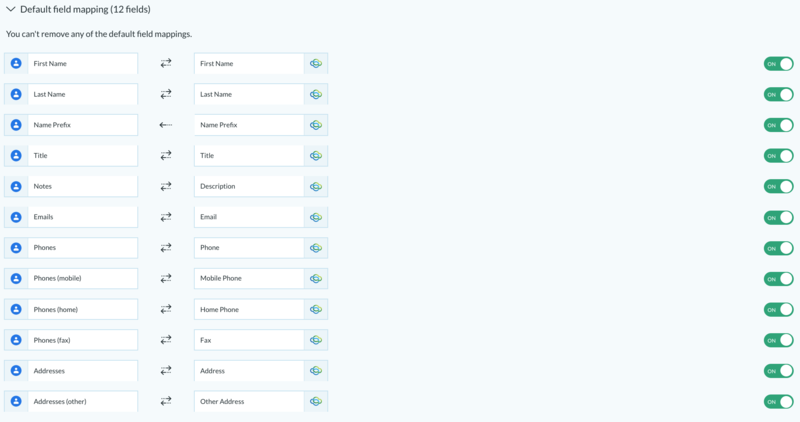 Below you'll find detailed information, specifically for Vtiger integrations. We simply ask your login details and your permission. To Authorize your Vtiger account, we need your Domain, to be found in the URL and your username and Access key of your Vtiger account, which can be retrieved in ‘My preferences’. We also support self-hosted open-source Vtiger deployments. The terms and conditions with regards to self-hosted apps can be found here. 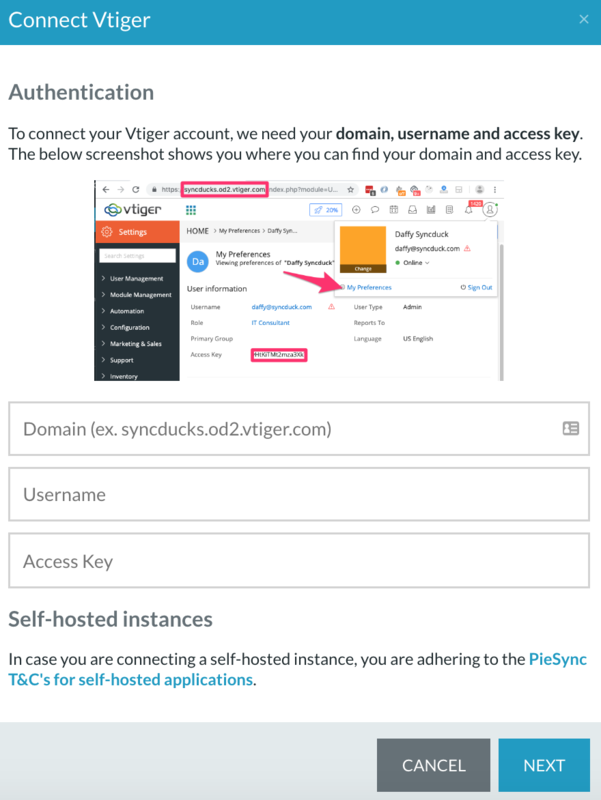 If you already authorized Vtiger account(s) in the past or in any other PieSync integration, you'll be able to the first part of the authorization and choose from your CONNECTED ACCOUNTS. You can custom map your Vtiger Custom Fields and any additional standard fields that aren't included in the default mapping yet. Bear in mind a mapping between two fields can only exist if the types of fields are compatible and the particular compatibility will determine the direction of the mapping as well. More information on Customizable Field Mapping HERE. Currently, there are no KWCommand integrations on the PieSync platform that support our deletions sync. Currently, there are no KWCommand integrations on the PieSync platform that support our unsubscribes sync.